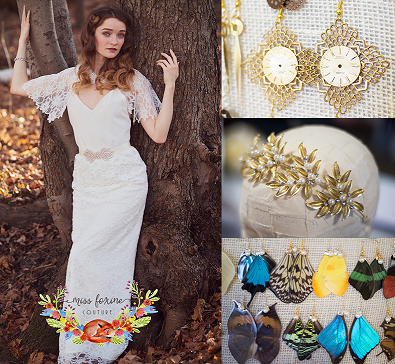 Miss Foxine Couture | Halifax Seaport Farmers' Market Ltd.
Miss Foxine Couture believes jewellery to be a self expression of body and soul, to reveal all beauties that lay within us. My work is based on the care free beauty of imagination and the sense of exploitative curiosity. My inspiration comes from nature, and anything that captures the heart and soul. I use narrative themes alongside the allure and magic of life to awaken the consumer’s curiosity and sense of adventure. Visit Miss Foxine Couture’s Etsy Store.